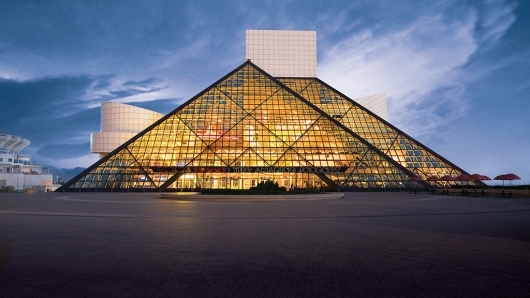 The Rock and Roll of Fame Class of 2016 has been announced, and, as expected with the annual induction of music luminaries to the triangular glass pyramid in Cleveland, Ohio, also comes a list that is no less polarizing and possibly even semi-controversial, just as it has been in years past. This year’s roster includes Cheap Trick, Chicago, Steve Miller, incendiary rappers N.W.A, and finally getting a nod in the hall, Deep Purple. Official induction ceremonies will take place on Friday April 8th, 2016 at The Barclay’s Center in Brooklyn, New York, marking the second time the ceremonies will be taking place at the Center. HBO will then as it is wont to do, broadcast the ceremonies sometime that spring. It’s that time of year again when the Rock and Roll Hall of Fame puts forth its nominees for induction into its hallowed halls. Maybe it’s just me, but I have to say, this year’s ballot is the least exciting one that I can recall. 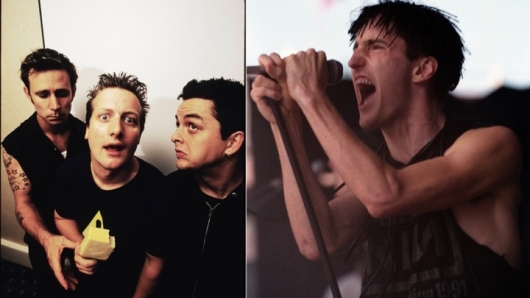 Perhaps the biggest surprises are the inclusion of Green Day and Nine Inch Nails, both of which released their first albums in 1989, meaning that they have just passed the 25-year qualification for eligibility. Also, in the “How are they not already in?” category we have Stevie Ray Vaughn, War, Kraftwerk, and The Paul Butterfield Blues Band. Rounding out the list of nominees is: N.W.A, The Smiths, Lou Reed (solo work), Sting (solo work),Chic, Joan Jett & the Blackhearts, The Marvelettes, The Spinners, and Bill Withers. The inductees for The Rock and Roll Hall of Fame Museum in Cleveland, Ohio have been announced today, and while there are some on the roster who are fully deserving of induction into the hallowed hall, once again (and this is actually becoming somewhat of an annual tradition), key bands were left off the list for final induction. The final inductees are as follows: Seattle’s Nirvana, who opened the floodgates of grunge, post-punk and somehow became as successful as any of the superstar rock groups the band eschewed; Hall and Oates and solo artist Linda Ronstadt, who got her start way back when in The Stone Poneys with the chart hit “Different Drum” (which was written by Monkee Michael Nesmith); shock rock party band to the highest level foursome Kiss, whose “army” of fans have been more than patient regarding the band getting in the hall; prog-rock maven Peter Gabriel, who had success first as an early member of Genesis and then kind of mainstreaming that sound slightly to carve out an eclectic solo career as well; and memorable folk singer Cat Stevens, who after charting an assembly line of introspective hits in the early 1970s, pretty much sold all the trappings that success gave him and charted a completely different life for himself thereafter, one mainly fueled by religious activity. The latest roll call of the 2014 nominees for The Rock and Roll Hall of Fame was announced earlier this week, and as usual, the list is full of some names that are questionable, and ultimately some that are long overdue for possible inclusion in the triangular edifice, like Kiss, Deep Purple, and Yes. Nirvana seems to be the forerunner here and the absolute shoe-in to the Hall. The defunct grunge trio, which disbanded almost 20 years ago after the death of their front man, flanneled-laden Kurt Cobain, was on the apex of the entire Grunge sound movement which shot large bullet holes through the hair metal and pop music that permeated radios and CD players coast to coast when it first burst onto the scene in the early 1990s. More than just a success story, Nirvana opened an entire new lifestyle for teens in subdivisions, urban societies and pretty much every other demographic with their hard edged, yet simplistic post punk attack. A major step in the right direction of finally showcasing music groups that aren’t of the extreme norm or voted in by backslapping politics has finally come to fruition in Cleveland, Ohio today as Rush, the Canadian trio whose progressive rock sounds have been thrilling and tantalizing generations of audiences mostly on cult fringes since their debut album in 1974, has finally have been inducted into The Rock and Roll Hall of Fame! No other band in the entire history of the hall has sported the kind of controversy and division like Rush has in terms of entry to the Hall. 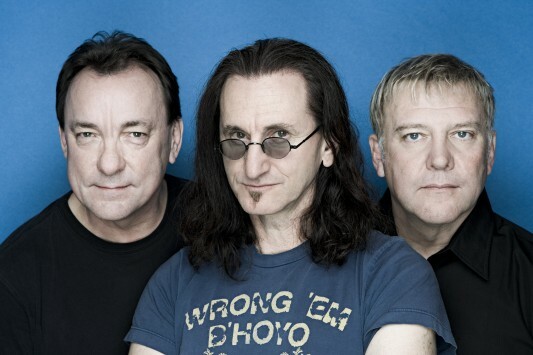 For the most part, Rush has been anything but critically lauded throughout its tenure as a band, which is still promoting and touring its latest album Clockwork Angels, their 19th studio release. Fans, however, have seen this differently, scoffing at pseudo-highbrow critics who they pretty much have ascertained have no clue what they are talking about when it comes to the amazing, gymnastically musical elasticity of the sounds and styles of Rush. ABC News reports that along with Rush, the class of 2013 includes Academy Award-winning singer/songwriter Randy Newman; original purveyors of hip hop Public Enemy; the late disco queen Donna Summer, who died earlier this year; the Wilson sisters-led hard rocking ensemble Heart; and “Born Under A Bad Sign” blues guitarist Albert King. Quite an eclectic mix of artists for sure. The nominations are in for the 2013 class of inductees for Cleveland’s Rock and Roll Hall of Fame, and the mix of names and bands definitely runs the genre gamut for sure. Finally, however, there is a nod for Canadian power trio Rush. 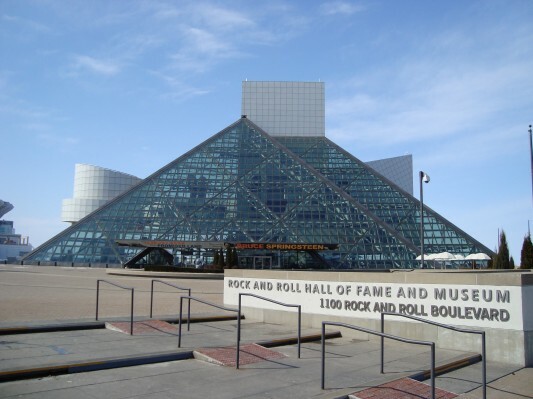 The band has been much the source of controversy at the glass pyramid on Cleveland’s waterfront, as many of its fans have seen the omission of the band in the Hall as unconscionable and out and out ridiculous. Although the band has been around for almost 40 years and the Hall almost 30, this is still the first acknowledgement for the group in any way, shape or form. The band, which is currently on their Clockwork Angels tour spanning America, is bigger than ever. It remains to be seen if they will make it (finally) into the oddly shaped edifice in Ohio. 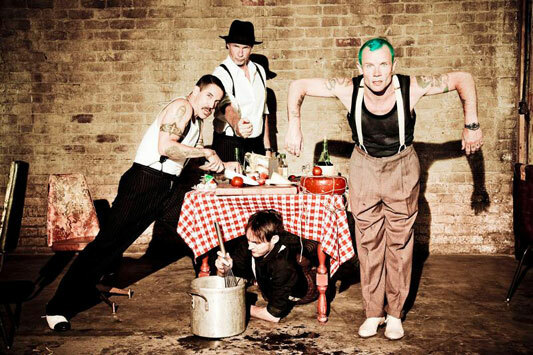 Yesterday I wrote that though the Red Hot Chili Peppers were just inducted into the Rock and Roll Hall Of Fame, to a early fan like me, they will always be four guys with socks on their dicks. Now, the band has announced that in honor of their recent induction, they will be releasing a digital-only 6-song EP of cover tunes, called We Salute You. The EP, which will be available online starting May 1, 2012, has songs from previous Hall Of Fame inductees which the band was musically influenced by: The Ramones, Iggy & The Stooges, Neil Young, David Bowie, The Beach Boys, and Dion and the Belmonts. Three of the tunes are live versions, while five of the six tracks have never been available digitally. Below is the full track listing, along with details on each track. Industry insiders are reporting that rock and metal legend Alice Cooper will finally be inducted into the Rock And Roll Hall Of Fame on March 14, 2011 at its 26th yearly induction ceremony. Alice Cooper began as the lead singer and frontman of the band of the same name with the release of their debut album, Pretties For You, in 1969. Cooper launched his solo career in 1975 with the release of the concept album, Welcome To My Nightmare, an epic recording that was produced by the brilliant Bob Ezrin. Cooper established himself firmly in the era of shock rock and early glam metal — his career spanning beyond 30 years, and releasing songs such as School’s Out, Poison, Hey Stoopid, and Brutal Planet. He is known for his concept albums, and theatrical live performance that featured the “execution of Alice Cooper” every night — usually portrayed as death by guillotine. He’s left such an impact on the music world and would eventually become a massive influence on almost all sub-genre of metal.